We are in the process of developing these equipment advice pages for many of the key items of equipment, in order to help people prepare better for their trips. We are always editing these pages, so if you have any feedback about information we should add to the page, please let us know. This page has largely been written by Emma from our Windermere HQ, and it's here that most people have their first contact with us, in person or on the phone. We feel it's important that all our staff are experts on the mountains and kit we offer, so we are all involved in developing these advice pages. 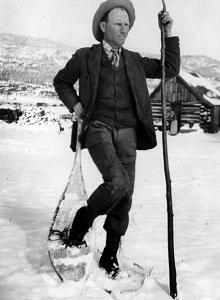 Long gone are the days of snowshoes resembling wooden tennis rackets strapped to the feet. They are from the same era as the clothing in the photo on the right! Modern snowshoes are light, sleek and technical. This has been driven by the fact that snowshoeing is the fastest growing winter sport in the world, and now there is now a great range to choose from. On this page we offer some advice that will help you, gained from our experience as one of the largest Alpine snowshoeing operators. 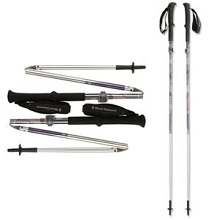 Before you rush out and get spending, don't worry as we can provide this equipment on any of our snowshoe courses in Chamonix and around the Alps. To return to the equipment lists and advice pages overview, please click here. 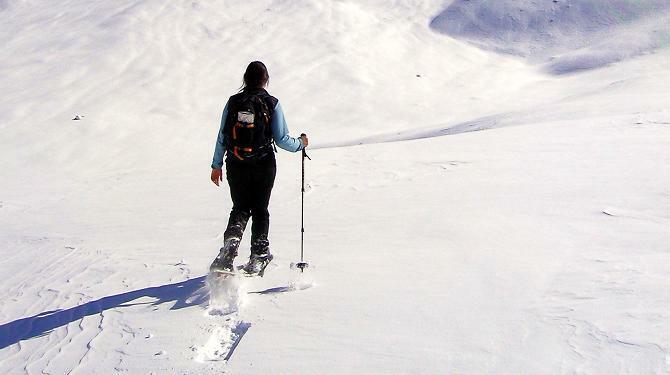 Snowshoes enable access into similar terrain to that of ski tourers, and it is generally rolling nordic type terrain. It is possible to snowshoe on slopes up to about 30°, and depending on the type of snowshoe you use, different snow packs can be crossed, varying from crusts to powder. 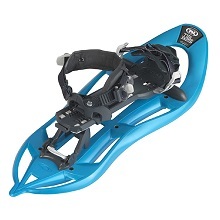 To decide what snowshoe would suit you best is generally a function of both the terrain you normally plan to travel over, and also budget and durability. There are three main types of snowshoe, and they are discussed in detail below, so you make the most informed choice possible. 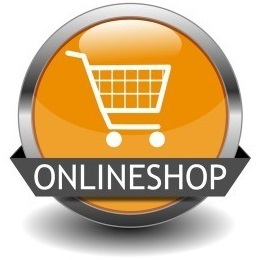 All types are widely available for purchase, both in equipment shops and on the internet. Snowshoeing was invented around 4000 years ago and snowshoes were most developed by North American aborigines. Historically, snowshoes were essential tools for fur traders, trappers, and anyone whose life or living depended on the ability to get around in areas of deep and frequent snowfall. Snowshoes today have come a long way from the traditional hardwood frame with leather laces, and most are now made of modern materials such as moulded plastic. The purpose of snowshoes however remains the same, to ease walking in deep snow through using a frame fastened to existing shoes in order to create a larger surface area that reduces the amount a person's foot sinks into the snow. This is often referred to as 'floatation', and the more you have, the easier it is. Snowshoes are designed to distribute the weight of the person over a larger area so your feet do not sink too deeply into the snow and float higher in the snowpack when trekking in snow. Snowshoeing is now officially the fastest growing winter sport, and the range of snowshoeing courses we offer at Icicle Mountaineering expands every year to reflect the demand for the sport. 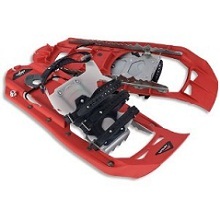 We have the largest range of snowshoes of any outdoor shop in the country! They are selected by our UIMLA / BAIML snowshoeing guide team. These are the snowshoes that we use ourselves, and you can read more about the British Association of International Mountain Leaders. One of the primary considerations when choosing which snowshoes are the most suitable for you, is to consider your own body weight; and in addition, the weight of the gear you will be carrying when snowshoeing. The greater the overall weight, the bigger the surface of the snowshoe. Most snowshoes have a minimum and maximum overall load weight to help guide you into choosing the most appropriate snowshoes. A common formula is that for every pound of body weight, there should be one square inch of snowshoe surface (14.5 cm²/kg) per snowshoe to adequately support the wearer. Almost all snowshoes have a crampon directly below the binding, and more aggressive snowshoes have additional traction elements near the tail of the snowshoe, or along each edge. 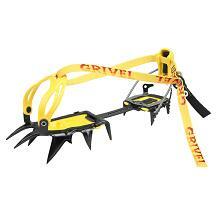 For steep, firm snow or backcountry terrain, the additional side and rear crampon points provide more security and traction on steep uphill, and downhill terrain. 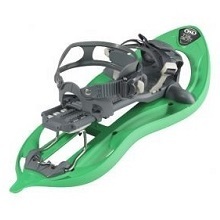 Most modern snowshoes have heel raisers (sometimes referred to as heel cleats, or heel lifts) which you can flip up and assist in ascending a mountain. By using the heel raiser on ascents you can rest your boot onto the raiser which then transfers your weight off the calf muscles and achilles tendons, and transfer the weight onto to the quads and glutes, which are the strongest muscle groups in your legs. 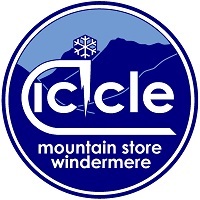 Our Icicle shop in Windermere stocks and sells 6 different sets of snowshoes manufactured by TSL; and MSR. Here is a quick guide as to which we sell, and some key points to help you decide which are best for what you need. If you need any assistance in deciding which shoeshoes are best for you, visit our shop and Office in Windermere in the Lake District for kit and course advice; or see our online shop (click here) or email our team with any queries if you are looking to purchase a set, or wish to know if an existing pair you have is suitable. 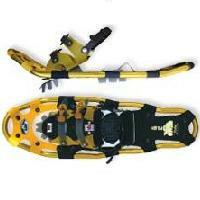 Below is a table showing the snowshoes we stock in the Icicle Windermere shop. Vertical metal edge, with points around whole edge, rubberised style deck and front toe claw points. 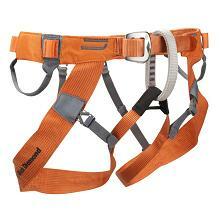 Generally only snowboard style bindings or ratchet buckles. Step-in bindings are not possible. Good flotation due to continuous deck. Great traction with points. Relatively heavy and awkward in crusty snow. Expensive to buy. Difficult to repair with anything stronger than the original materials. You'll need good workshop facilities to repair these, as they're so tough. Generally it's the heel lifter bar that goes on this type of snowshoe first, which isn't the end of the day, but possibly you calf muscle! You don't want to struggle with the straps if it is a very cold day! Apart from that, these are the most durable but heaviest on test. 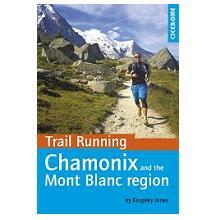 From 200 euros and upwards. 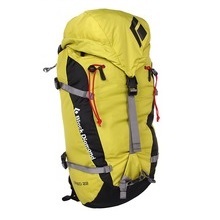 Very strong and durable, and give good flotation even in deep powder. A very versatile all-rounder snowshoe. Padded ankle strap for comfort. Heel raiser. Bag for transport / storage included. 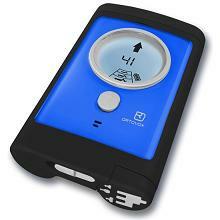 This has the same features as the TSL 325 Escape, but is for lighter users. 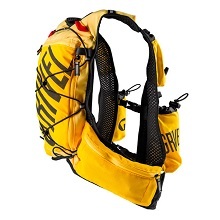 Very strong and durable, and give good flotation even in deep powder. A very versatile all-rounder snowshoe. Padded ankle strap for comfort. Heel raiser. Bag for transport / storage included. Virtually the same as the 325 Escape, but has a slightly different binding system. Suitable for the same range of terrain. 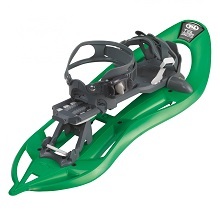 A very versatile snowshoe for Alpine use. Bag for transport / storage included. 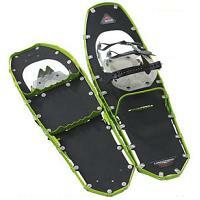 Some of the toughest snowshoes on the market. PosiLock AT bindings. 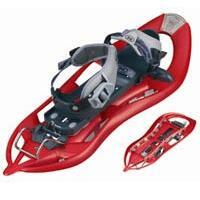 Energy-saving Televator heel lifts help make this a real all terrain snowshoe. Suitable for all Alpine conditions. 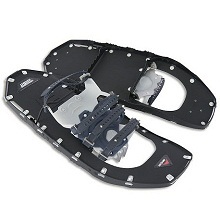 This snowshoe offers the premium of traction and performance, even on difficult snow terrain. 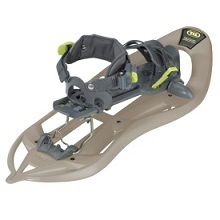 The aggressive Torsion2 crampons, and 360° Traction frames offer ultralight security especially on traverses. These are the best snowshoe for deep backcountry access. Four foot straps for secure fitting. If you are on a climbing or skiing course, you may wish to refresh or learn some of the key knots and ropework before your trip. Click on a knot on the left to visit the page that explains the 9 most popular knots that you might use, as well as the 1:3 and 1:5 rescue hoists.